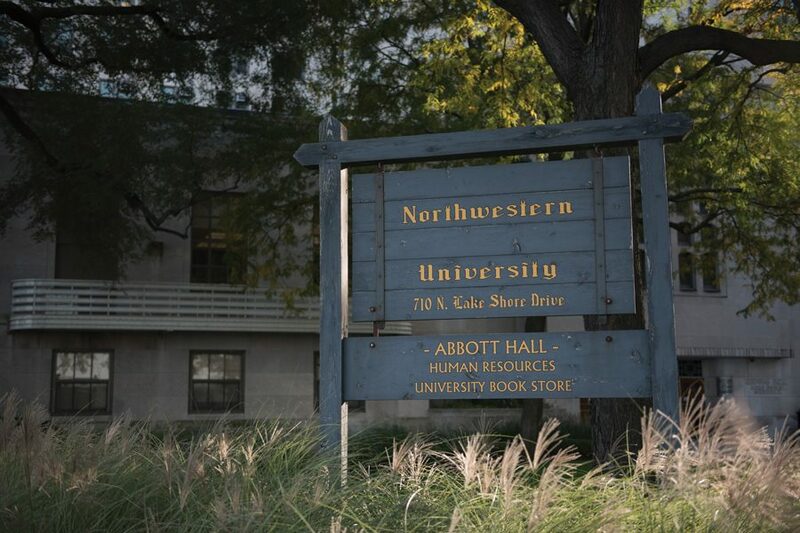 Abbott Hall on Northwestern’s Chicago campus. The downtown space will house a new center for graduate theater programs, including the MFA in acting that is planned to be in place by 2019. When Barbara O’Keefe started as the dean of Northwestern’s School of Communication in 2000, she said creating a Master of Fine Arts program in acting was part of her first strategic plan. The School of Communication offers other master’s programs in theater — including directing, stage design and writing — but acting remains a “missing piece,” O’Keefe told The Daily on Friday. However, that will change soon, she said. Though details of the program are still in the works, O’Keefe said she hopes to have an inaugural class of eight students in place by September 2019. Communication Prof. Harvey Young, chair of the theater department, said a draft proposal for the program is currently under review by the department. The program will need approval from the School of Communication, the graduate school and Provost Jonathan Holloway, but Young said he is “optimistic” the proposal will succeed. Young said it is important to ensure the graduate program will have no negative impact on undergraduate theater students. To provide adequate space for the new acting students, as well as other graduate students in the School of Communication, O’Keefe said NU is creating a center in downtown Chicago. The space will be located on the second floor of Abbott Hall — a building that is already part of NU’s Chicago campus — and renovations should be complete by 2019, she said. Plans for the space include several acting studios, a performance black box and a motion-capture studio, Young said. The center will have facilities for all of NU’s theater MFA programs and the MFA in documentary media, said Kerry Trotter, communication director for the School of Communication. Faculty for the new MFA program will likely come from outside hires, so the undergraduate program will not lose professors to the graduate school, she added. To raise money for the downtown center and the MFA program, the School of Communication will host a gala show in April, bringing well-known Communication alumni from Hollywood and Broadway to perform, O’Keefe said. Stephen Colbert (Communication ’86) will host the gala, O’Keefe said. Though she could not confirm other performers, she said “just about everybody you’ve heard of” will attend. The gala will be part of a weekend of events, O’Keefe said, with plans for a Waa-Mu Show preview, an a cappella sing-off and reunions for alumni of various student groups. O’Keefe said she was inspired by a similar 1980 fundraiser for what is now the Virginia Wadsworth Wirtz Center for the Performing Arts. That gala brought stars like Charlton Heston and Ann-Margret, who attended NU from 1959 to 1960, back to campus. Young said the 2018 gala will hopefully inspire the same enthusiasm that surrounded the original. “The goal is to recreate that gala … (and) show the world again just how extraordinary our current and former students are,” Young said. There has been a need for an MFA in acting for years, O’Keefe said. Other graduate theater students are “handicapped” by the lack of graduate actors to work with, she said, and the graduate theater program can’t be accurately ranked without the acting component. Now that the recently-completed renovations to the Wirtz Center provide undergraduates sufficient space and the downtown center is being created, O’Keefe said she is able to fulfill her “dream” of building the MFA program.